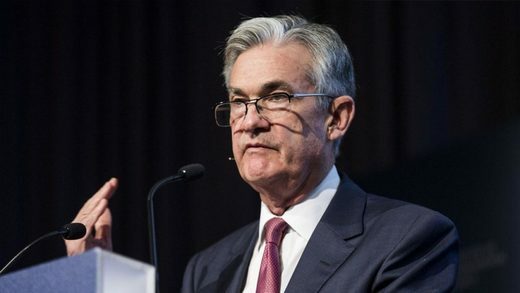 Federal Reserve Chairman Jerome Powell is concerned about the ballooning amount of United States debt. "I'm very worried about it," Powell said at The Economic Club of Washington, D.C. "From the Fed's standpoint, we're really looking at a business cycle length: that's our frame of reference. The long-run fiscal, nonsustainability of the U.S. federal government isn't really something that plays into the medium term that is relevant for our policy decisions." However, "it's a long-run issue that we definitely need to face, and ultimately, will have no choice but to face," he added. The Fed chief's comments came as the annual U.S. deficit reaches new sustained highs above $1 trillion, a fact many economists worry could spell trouble for future generations. Annual deficits have topped $1 trillion before, but never during a time of sustained economic growth like now, raising concern about what would happen if a recession hits.